Infinix Mobility finally reveals update to Android 6.0 marshmallow for Infinix Note 2 X600 devices. However, the update hasn’t been fully outed on most Infinix Note 2 device which leaves most users no option but to upgrade to Android 6.0 marshmallow manually. We already listed some new features integrated on this update, you can check-in here to know what this recent update offers. Before you proceed to manual upgrade of your Infinix Note 2 X600 devices to Android 6.0 marshmallow, you’re strongly advised to verify if the update is available for your device over-the-air. Simply go to your device settings >> about >> system update and check for the most recent update. if the Android 6.0 marshmallow update hasn’t been pushed on your device, only then you get to upgrade your device manually. It’s recommended you take nandroid backup of your device current ROM and also take full backup of your data because during the process, the entire files and data on your device will be wiped off. Also know that this process might void the warranty of your device, so implementing the below guide is at your own risk. Guruswizard won’t be held responsible for whatsoever happens to your device. For the manual upgrade, there are various methods. So I’ll quickly recommend some safe procedures to follow. USB cable for communicating the device with your PC. How to Install Android 6.0 Marshmallow official ROM on Infinix Note 2 X600? Step 1: First download the ROM file from the link provided above, and then extract the folder to the desktop screen of your computer. Step 2: Now, power off your Infinix device. 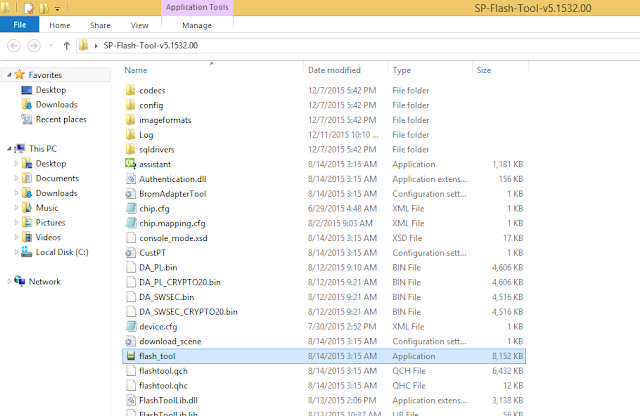 Step 3: Next, download the SP Flash tool, and extract the files to your computer. You should get the following files as seen below, after extraction. Step 5: Once the flash tool is launched, then click on the download/upgrade tab and click on scatter loading button. Step 6: Now, locate the “MT6753_Android_Scatter.txt” file, which is on your desktop, also endeavor to click on the “Firmware upgrade” option, but if your device is a rooted device, then use the “Format All + Download” option. Step 7: After that, click download to begin flashing process. Step 8: Immediately, connect your device to your computer via USB cable, and press Volume Down or up key, so it would be detected easily by your computer. Step 9: The Flashing process would be in progress, and a Green button would appear once the process is completed. That’s it. Reboot your Infinix Note 2 x600 devices and you’ll begin to experience android 6.0 marshmallow update on your smartphone. Also take note that the first booting process might take few seconds to complete. 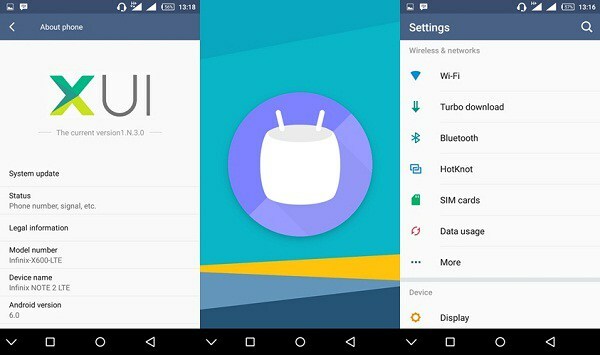 To verify that you’ve successfully upgraded your Infinix note 2 device to android 6.0 marshmallow, simply go to settings >> about >> and you’ll see the recent operating system under “Android version”. Feel free to share this info with your friends on social networks and do let me know via comment section if you got any related issue. I upgraded my infinix note 2 OS to 6.0 unfortunately is it's stupendously slow!